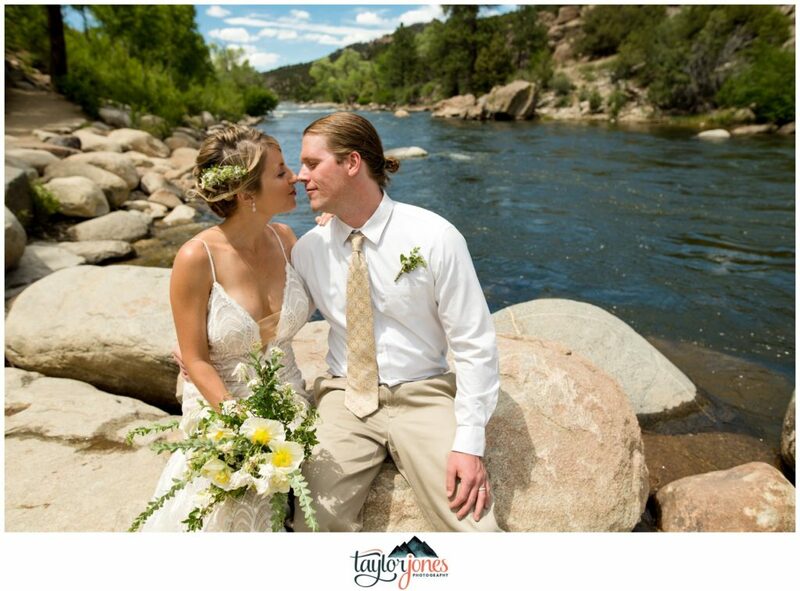 Believe it or not, we are quite biased that the valley in Colorado we live in is one of the most beautiful in the state. 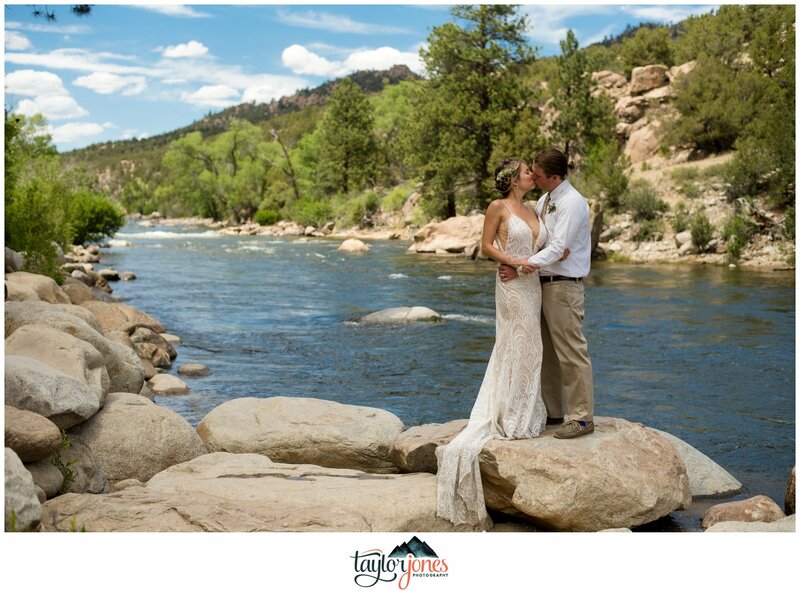 From rugged 14ers to the Arkansas River, from unlimited adventure to quaint coffee shops, you truly can’t go wrong here. 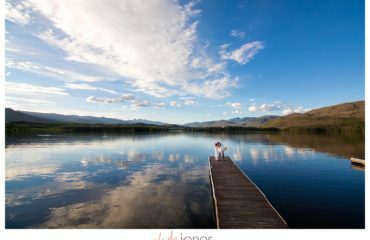 Whether you come to visit, or come to live, this is easily one of the most incredible places in the world. 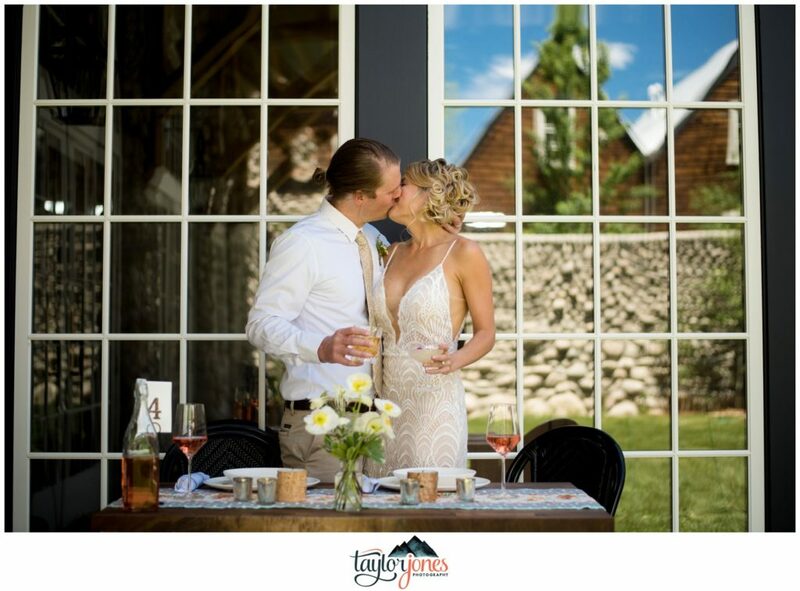 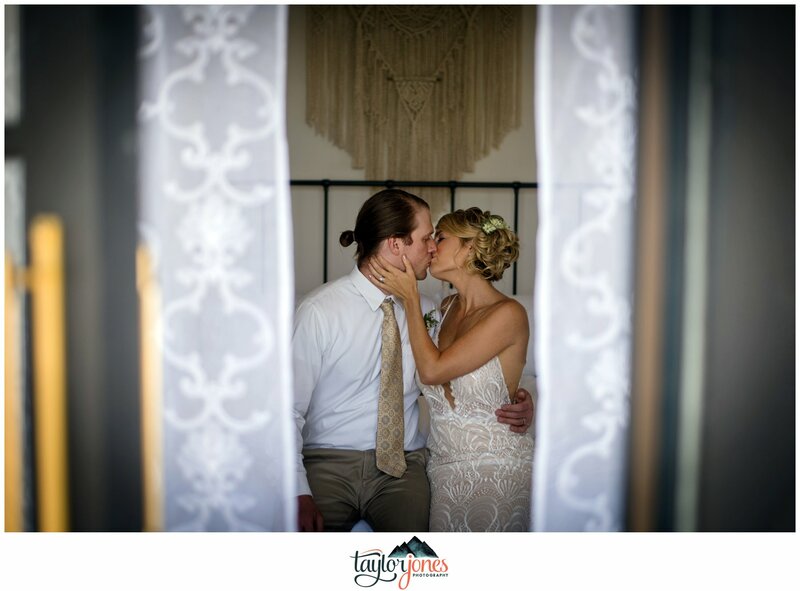 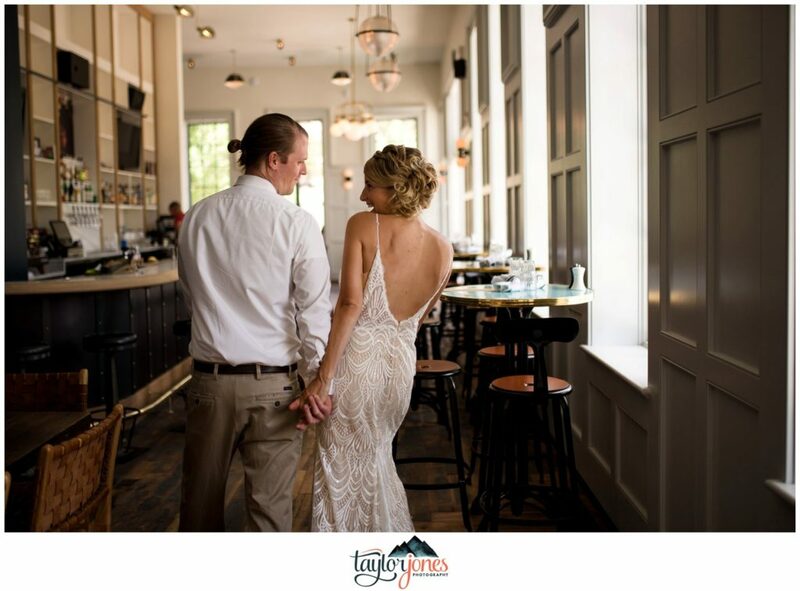 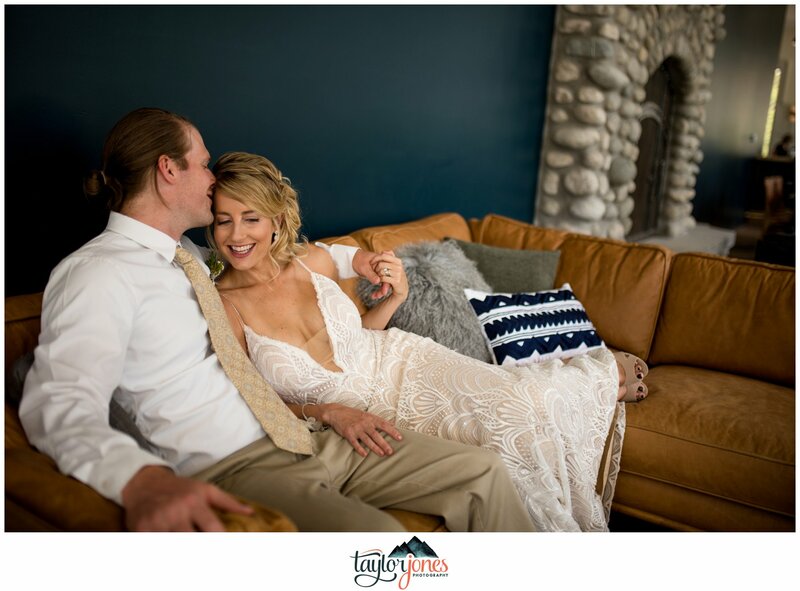 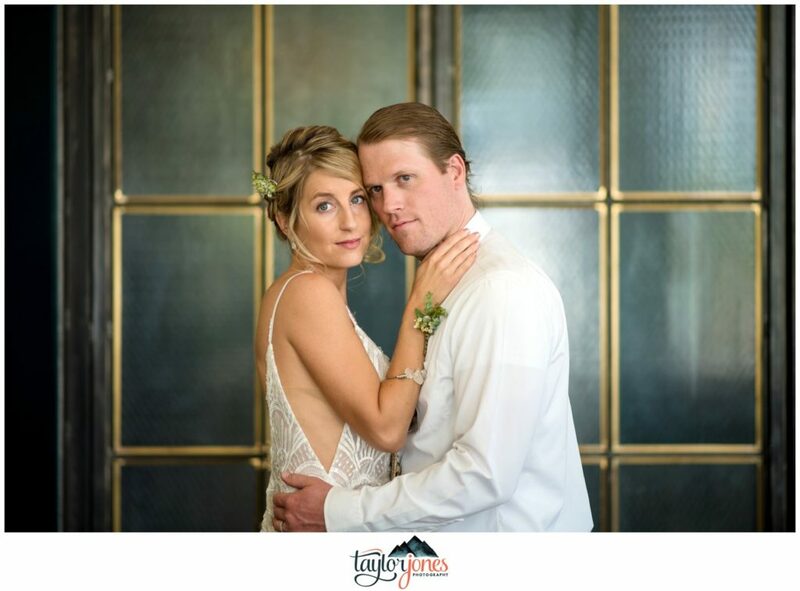 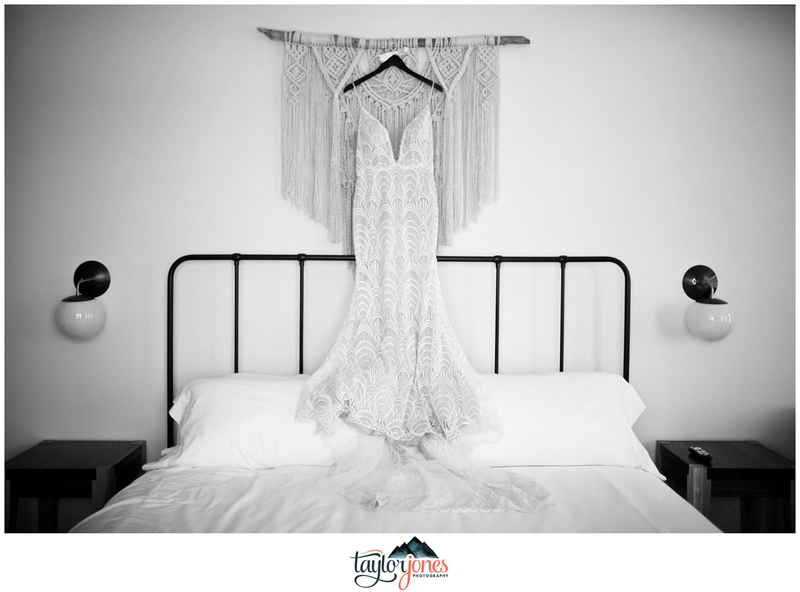 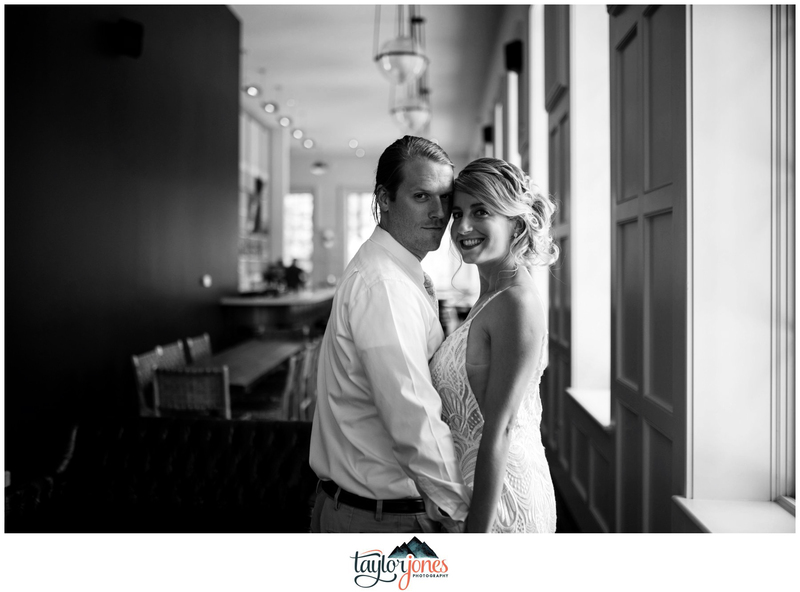 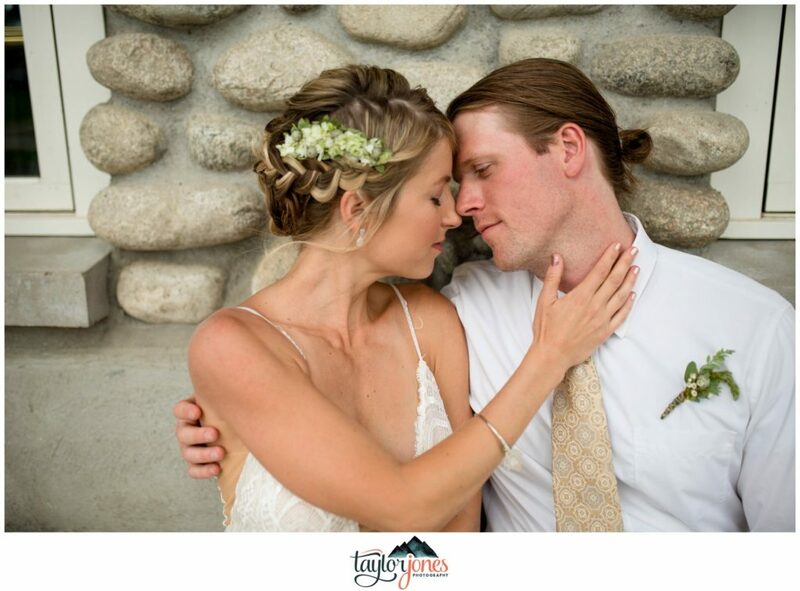 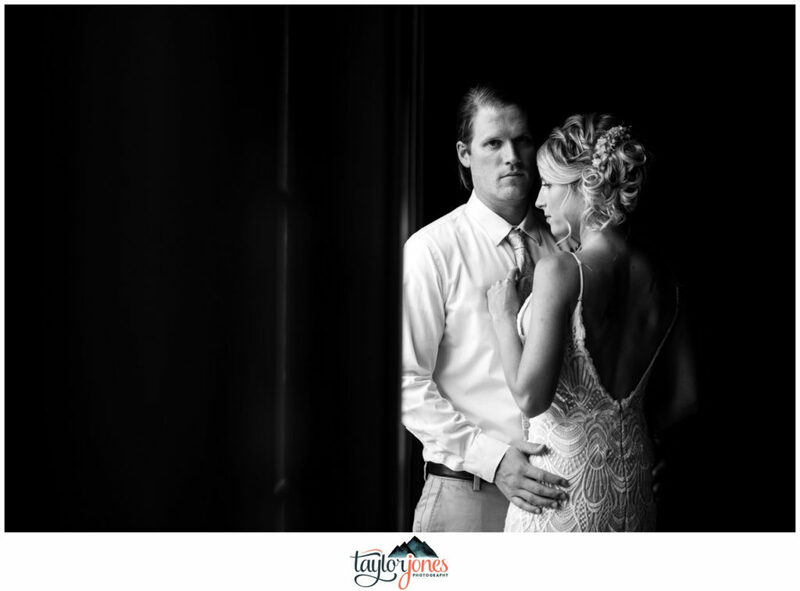 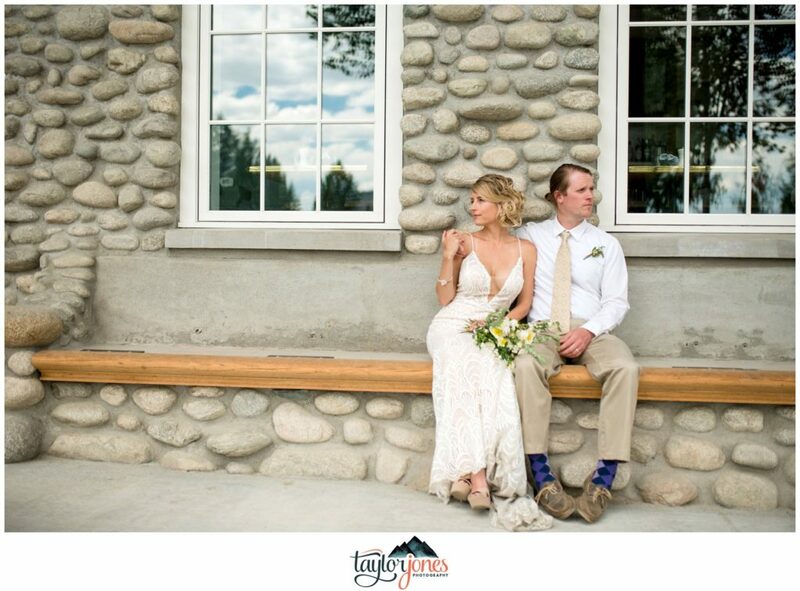 We’re so excited to share this Surf Hotel Buena Vista Colorado Wedding with you guys! 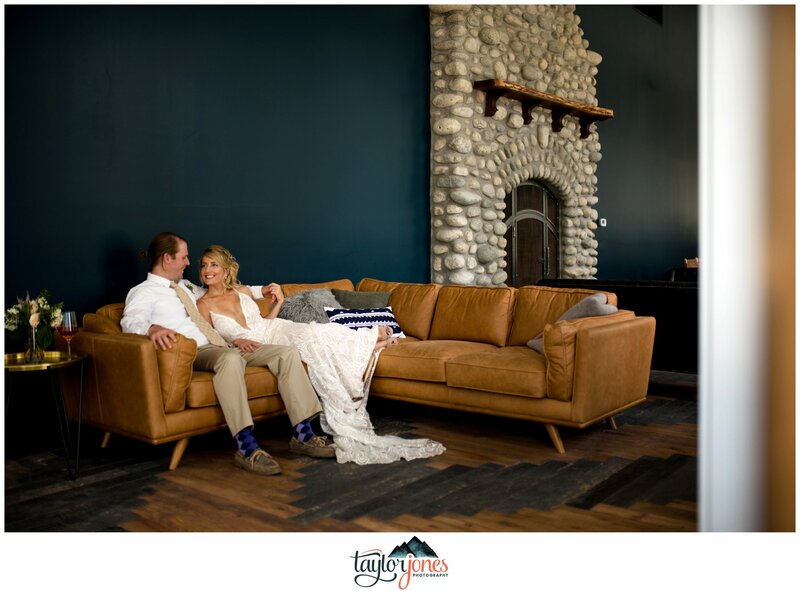 When we caught wind that our beloved Surf Chateau (the place we were staying in when we decided to move to the Arkansas Valley) was expanding their ventures and had their sites set on a hotel that would host events such as Colorado weddings, events, and concerts, we were elated to see how the end result would look! 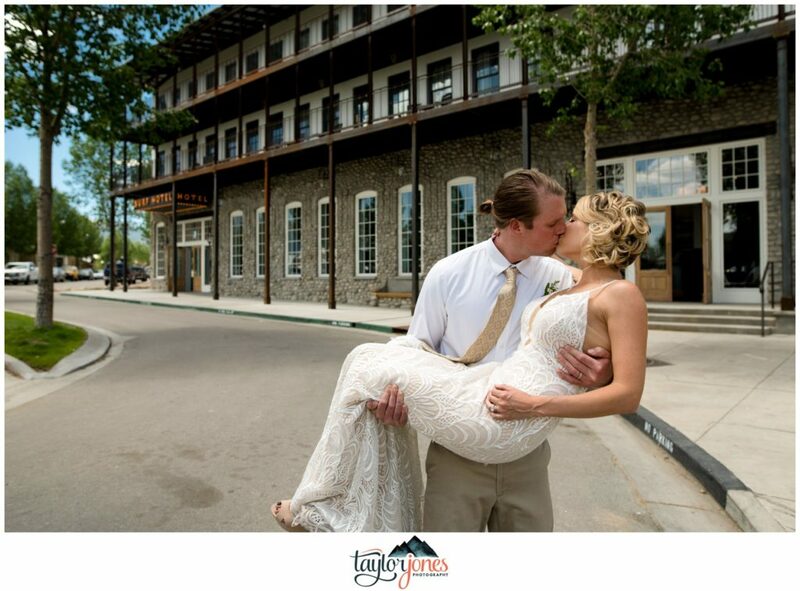 Located perfectly on the Arkansas River and in the South Main section of Buena Vista, we knew this hotel was going to be a winner and we wanted to be apart of it! 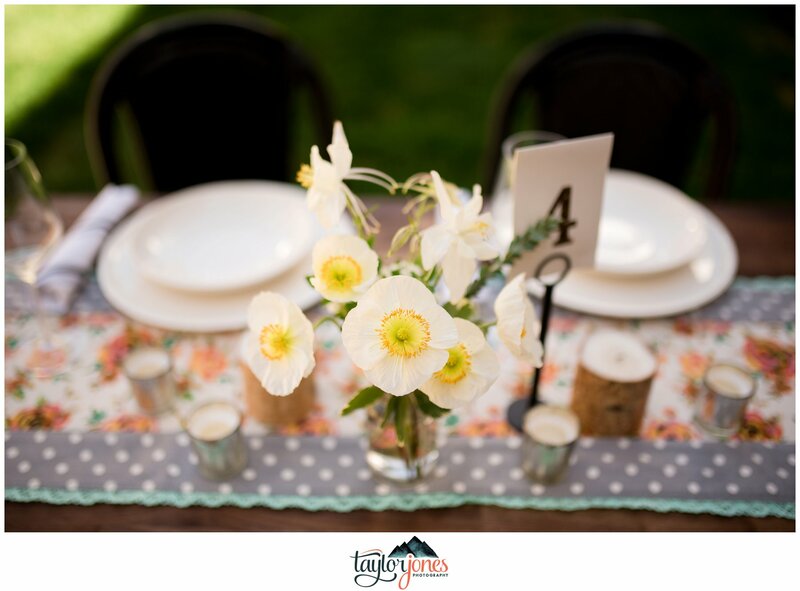 To boot, we can easily brag some of the best wedding vendors as well! 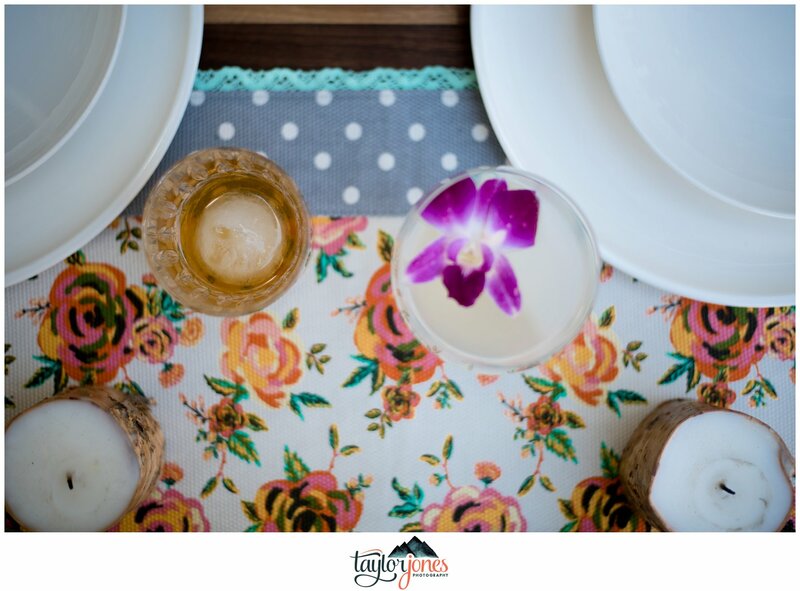 We were so excited to collaborate with these folks in showcasing some of their best work. 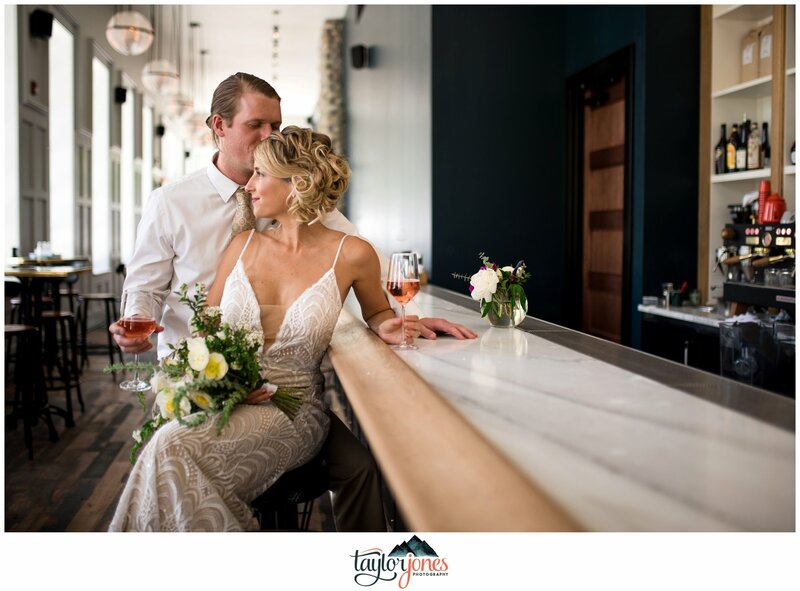 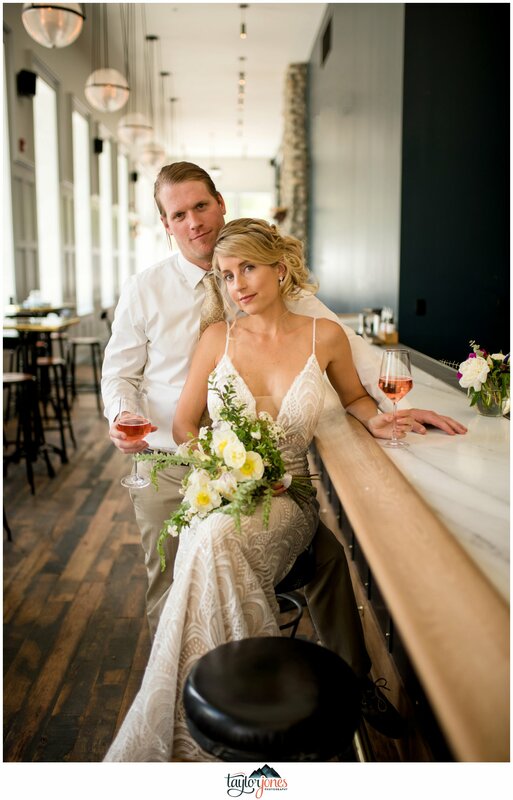 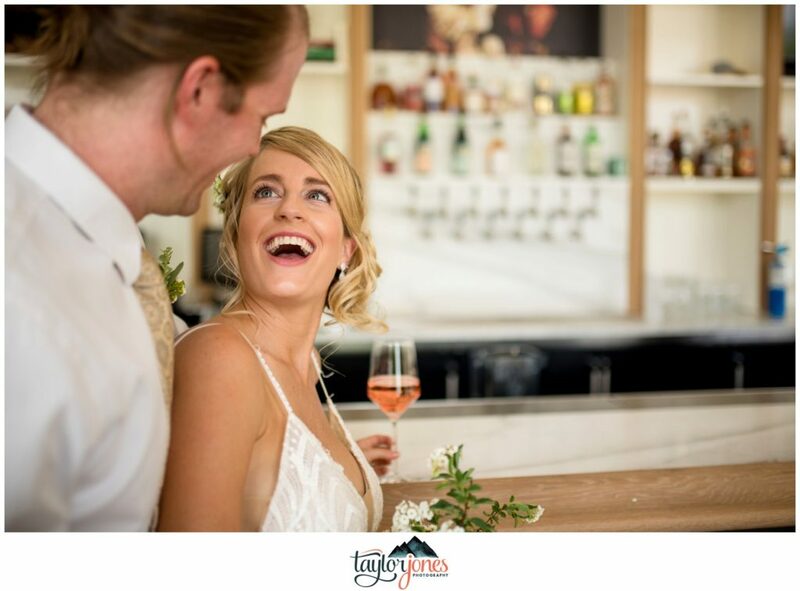 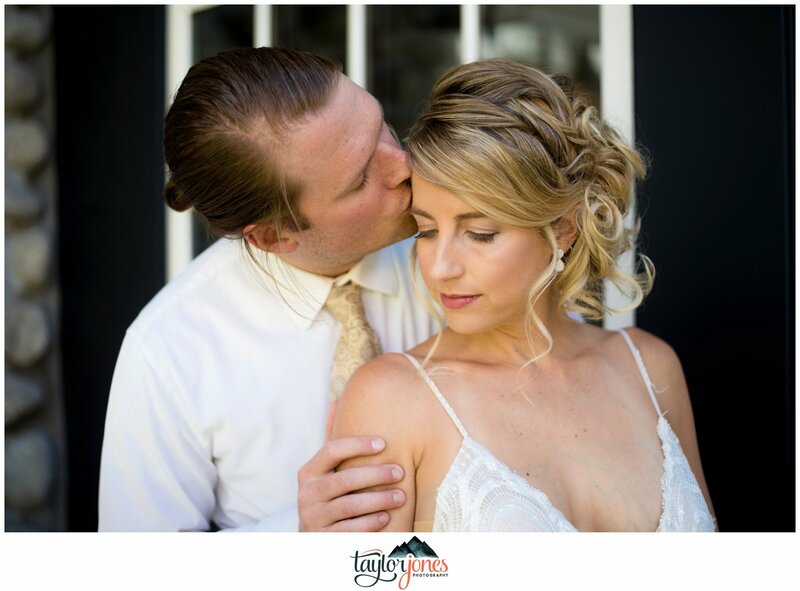 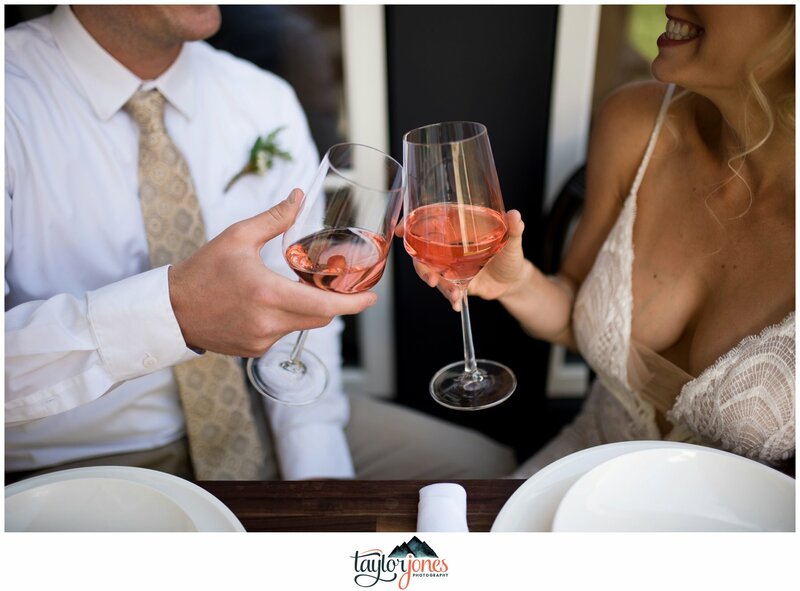 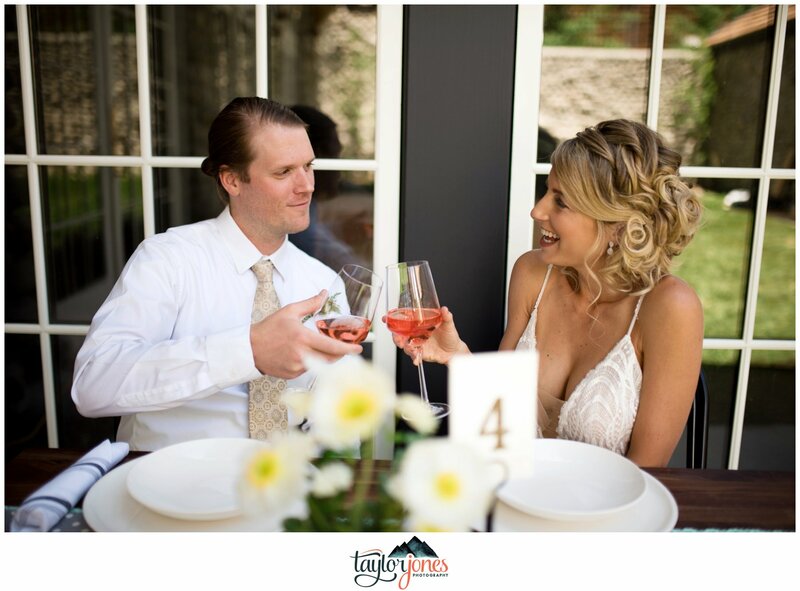 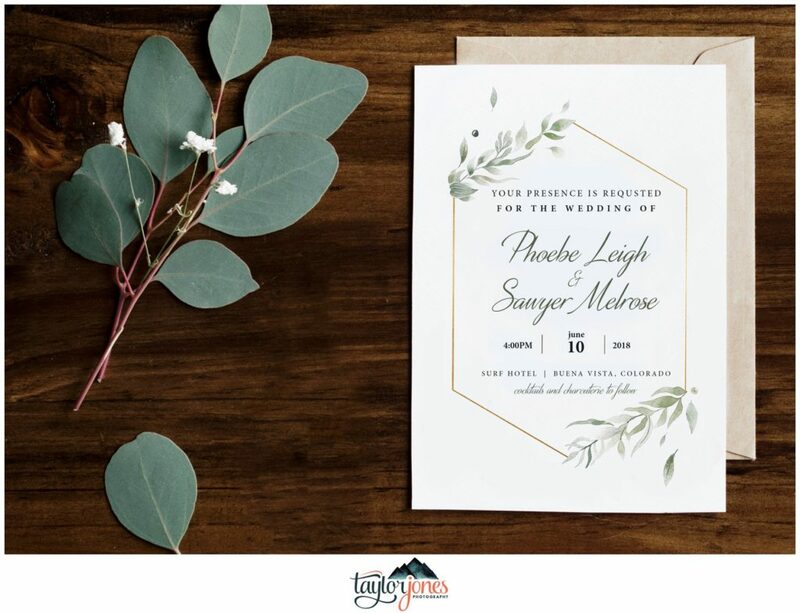 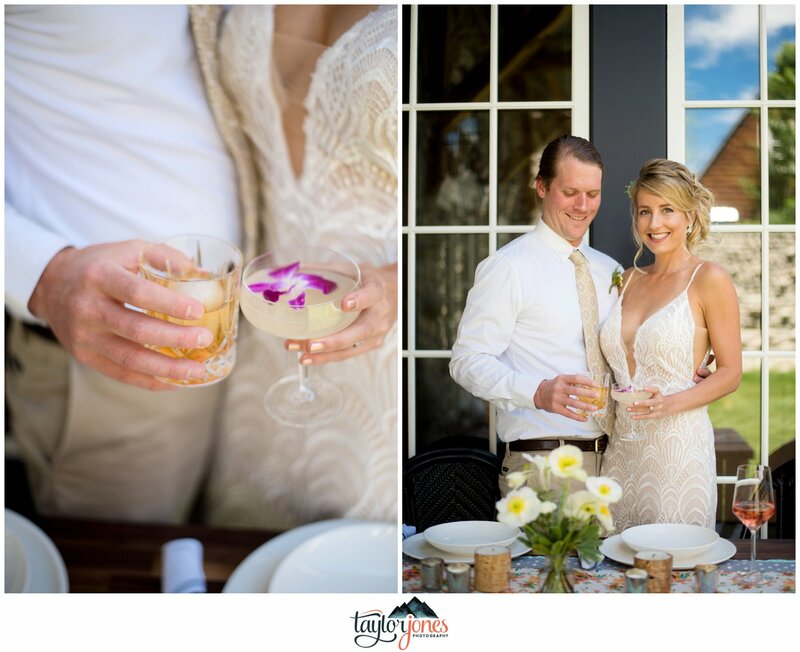 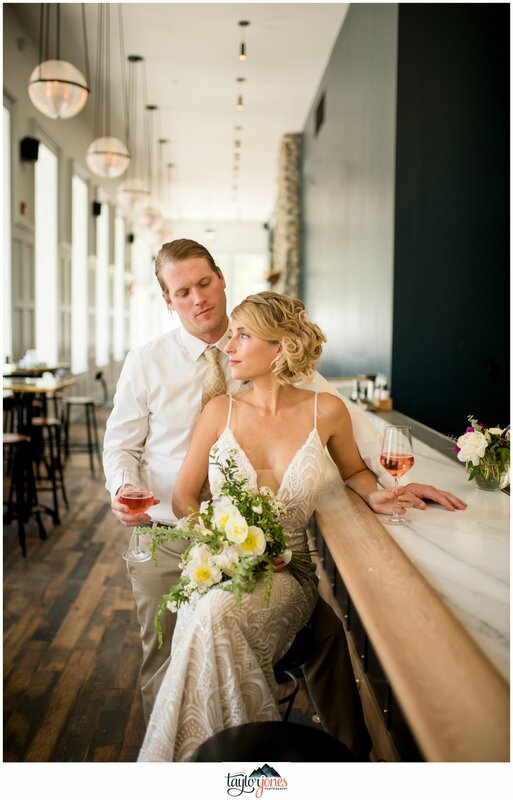 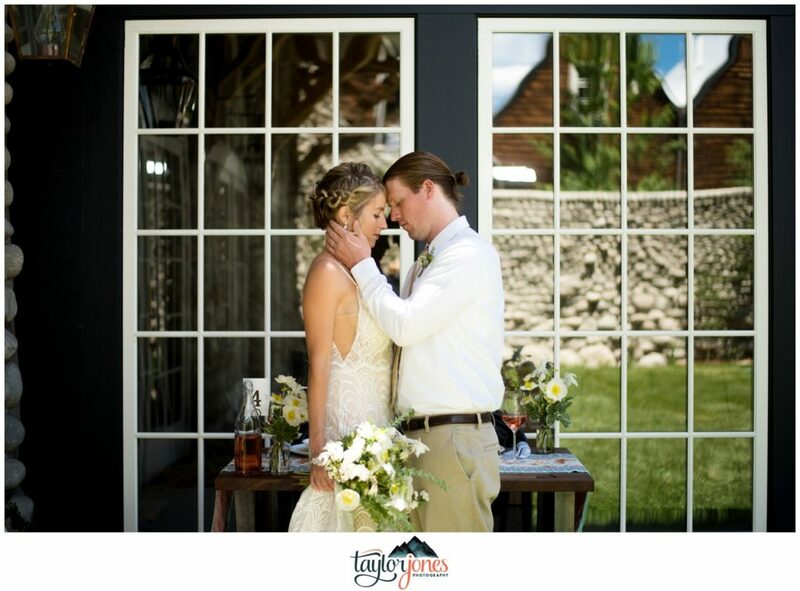 Before the Surf Hotel was open and ready to the public, I (Taylor) began envisioning a simple styled wedding with some of the towns best wedding vendors! 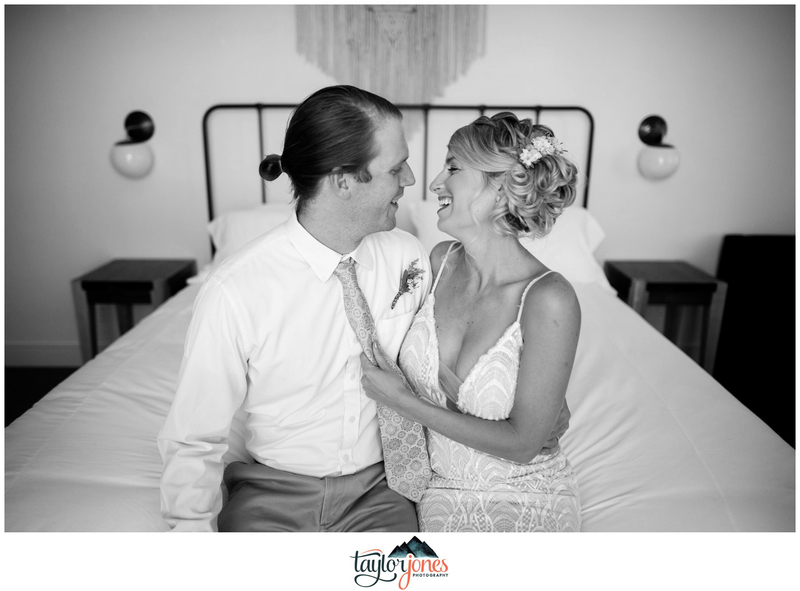 Over a cup of tea, myself and Aly (owner of Knot Just Another Wedding) chatted about the direction weddings were headed in 2018/2019 and shared our visions for a styled wedding at the Surf Hotel. 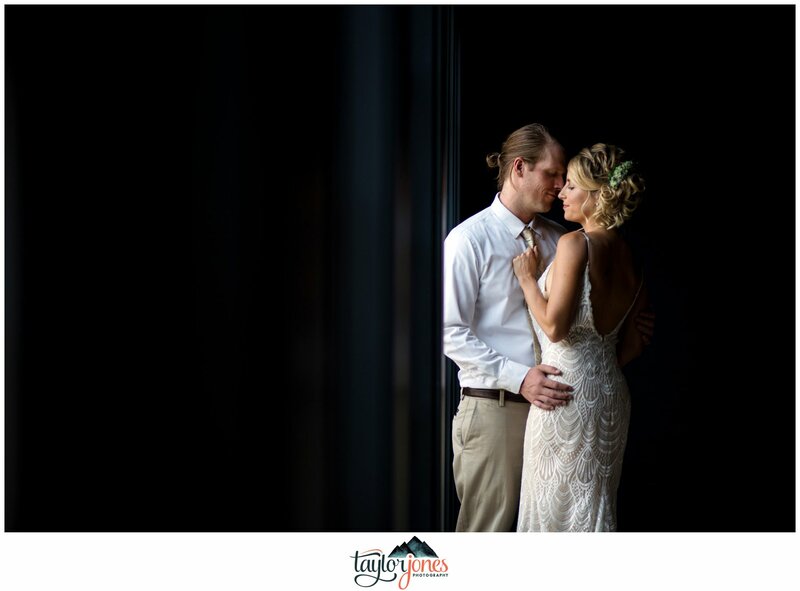 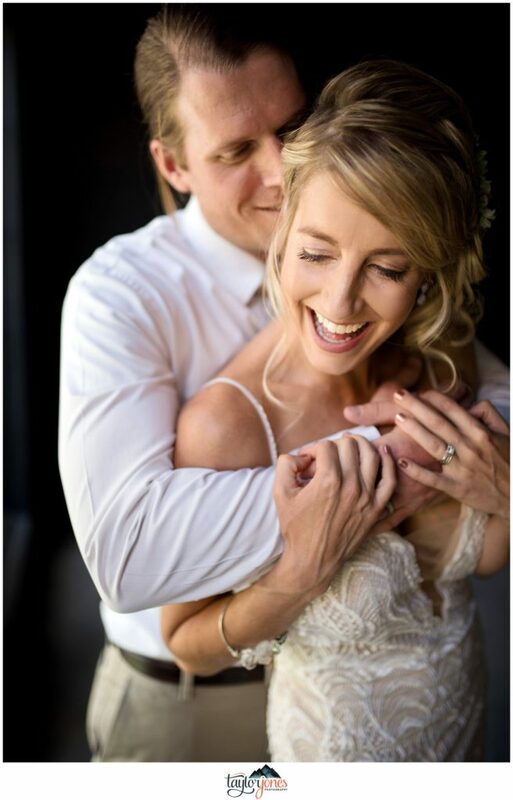 We both quickly agreed that weddings are moving into a simpler, more quaint direction with muted color pallets, soft textures, and of course, natural and emotional photography. 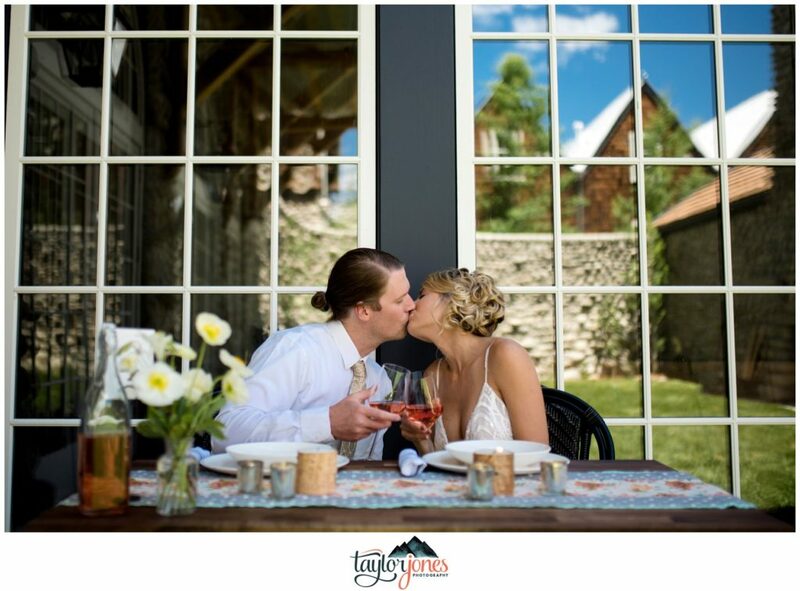 From here, we gathered our names of vendors we wanted to be apart of this styled shoot based on their expertise and creative vision. 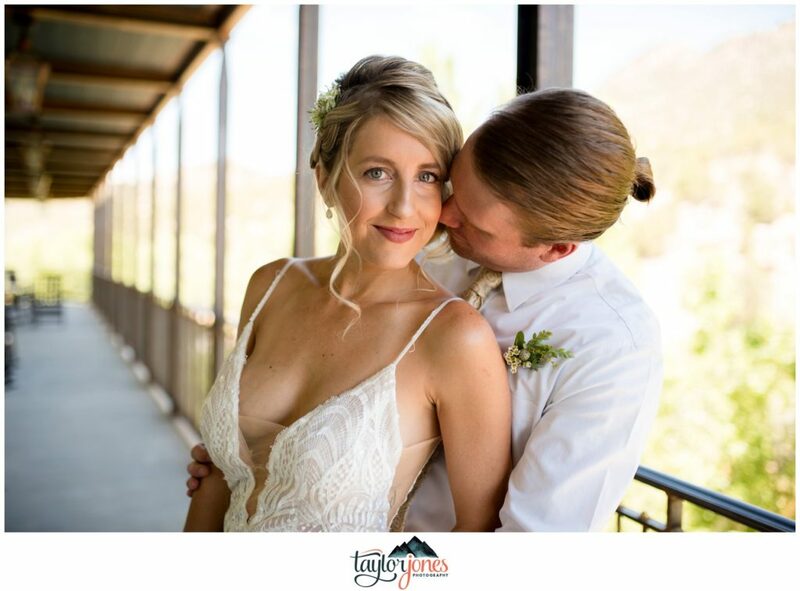 • The Surf Hotel Staff: Working with Rachael at the Surf Hotel was an awesome experience! 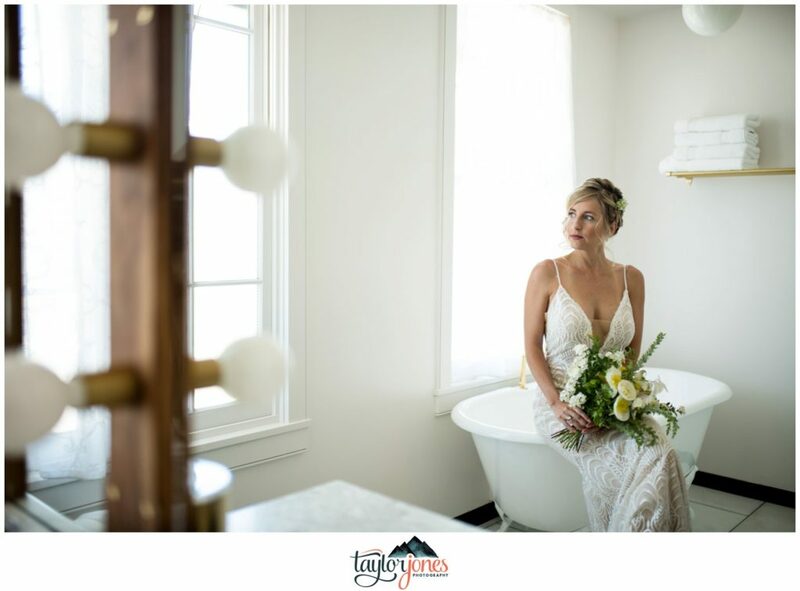 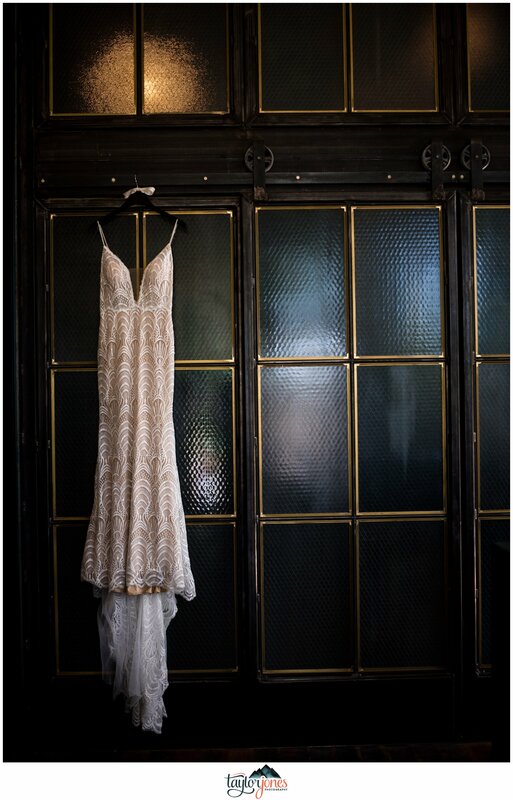 She was easy to communicate with and eager to share the venue’s highlights with us (ie: the views, the beautiful iron work done for their railings, and cozy rooms with dreamy light. 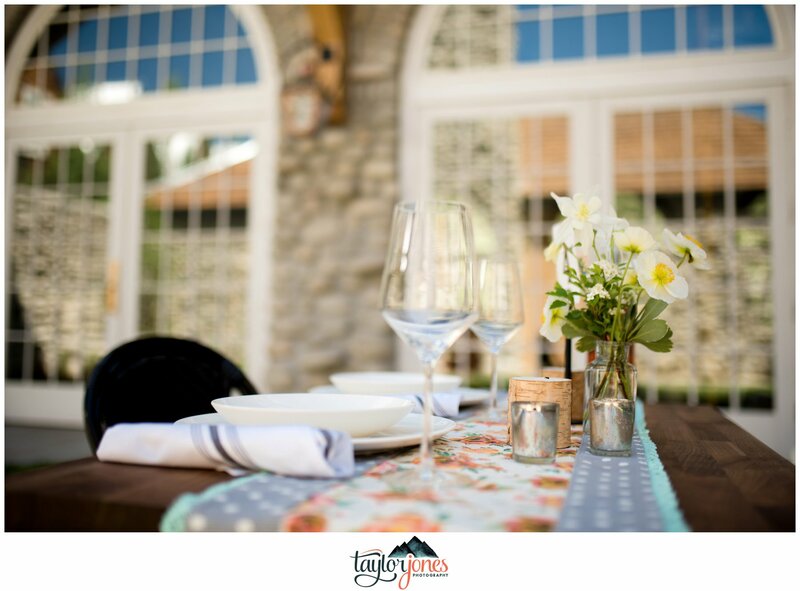 • The Surf Hotel Private Rooms and Bar: Don’t have a place for your wedding rehearsal dinner? 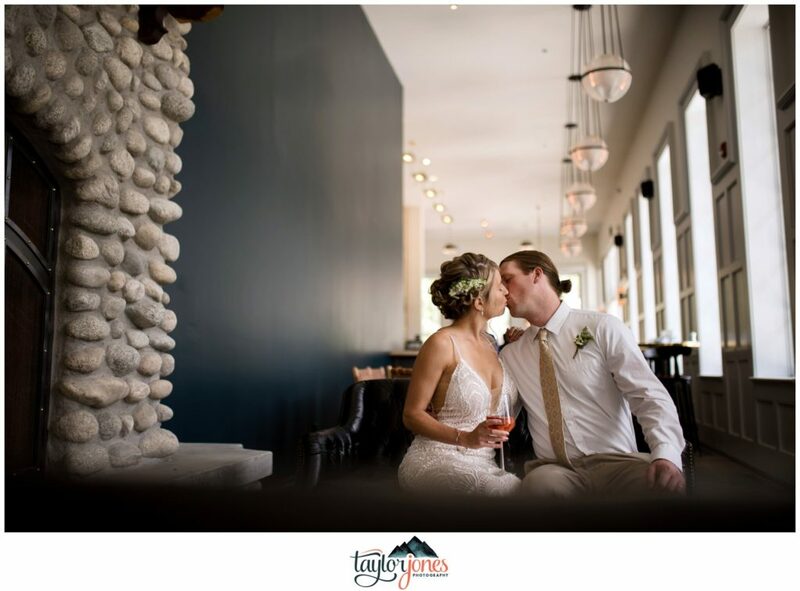 The private rooms at the Surf Hotel are PERFECT for a rehearsal dinner, bridal shower, or any intimate event. 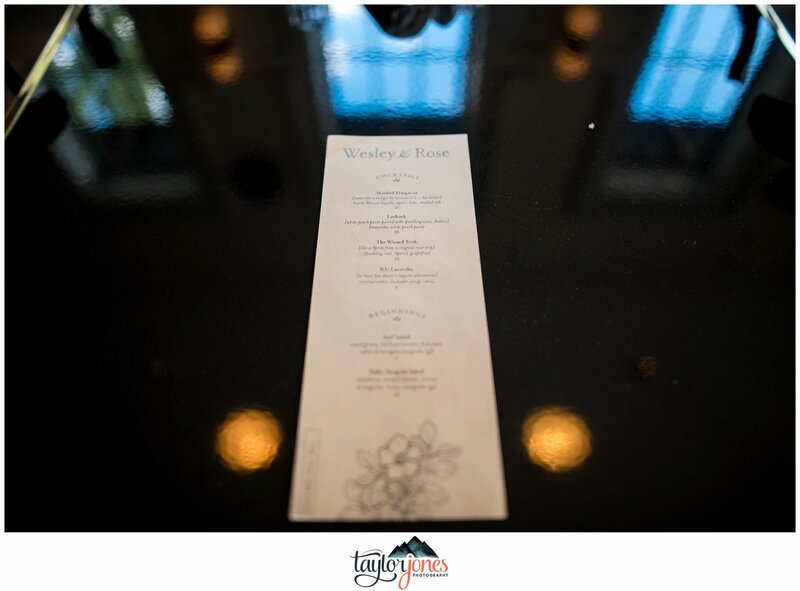 The bar, Wesley and Rose, is the perfect place to head for a drink on the river and some delicious food. 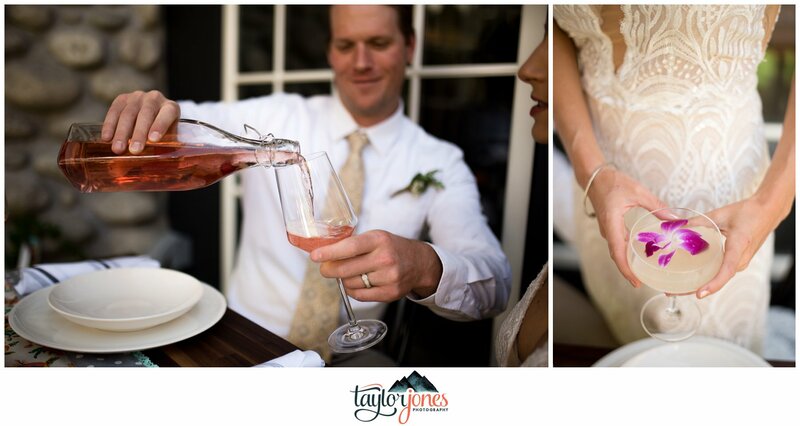 We were in love with the drinks they created for our styled shoot: sparkling rose, old fashioned, and the BV Lavender. 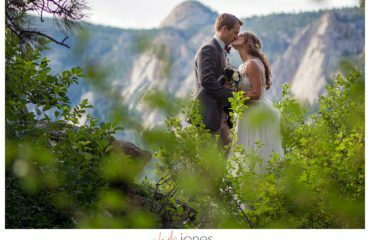 • The Town of Buena Vista: Honestly, I can’t say enough wonderful things about the town we live in. 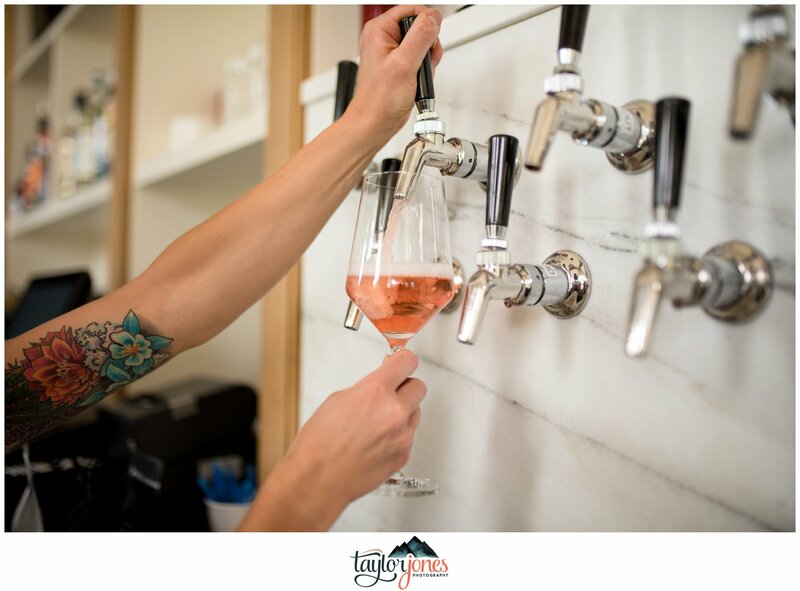 It’s a hub for adventurous spirits and attracts some of the best people from all over the country. 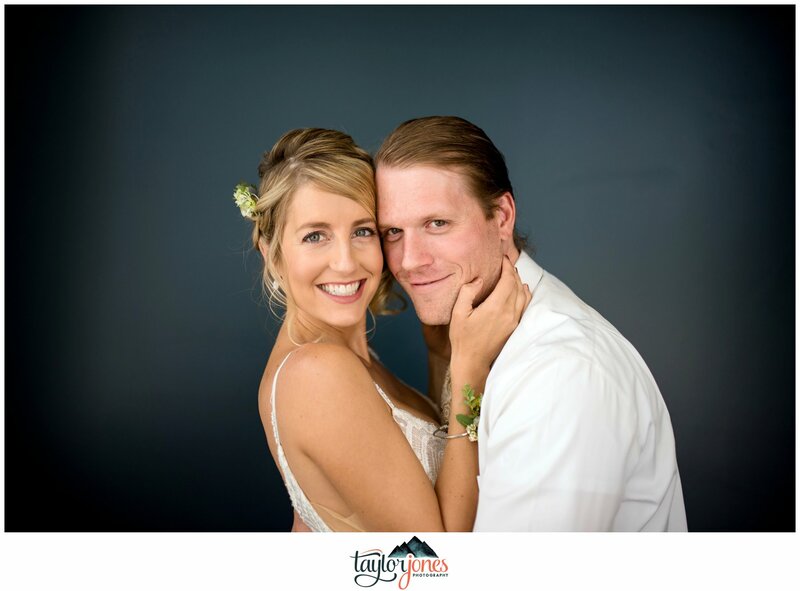 The community and love you feel in this place are undeniable and immediate. • The Colorado Sunsets: Yep, I’ll be the first to brag about the amazing sunsets we get almost daily here in Buena Vista! 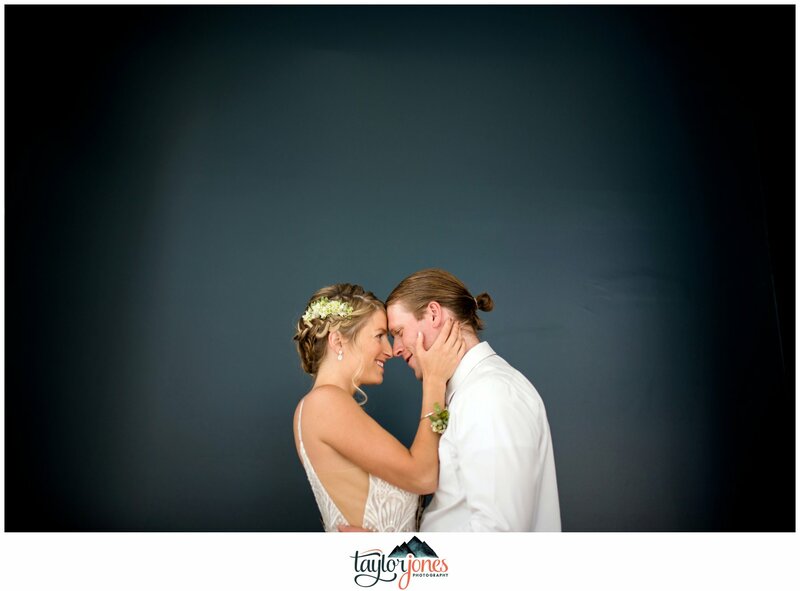 Cotton candy colored skies mixed with those 14er views are some of the best in the world. 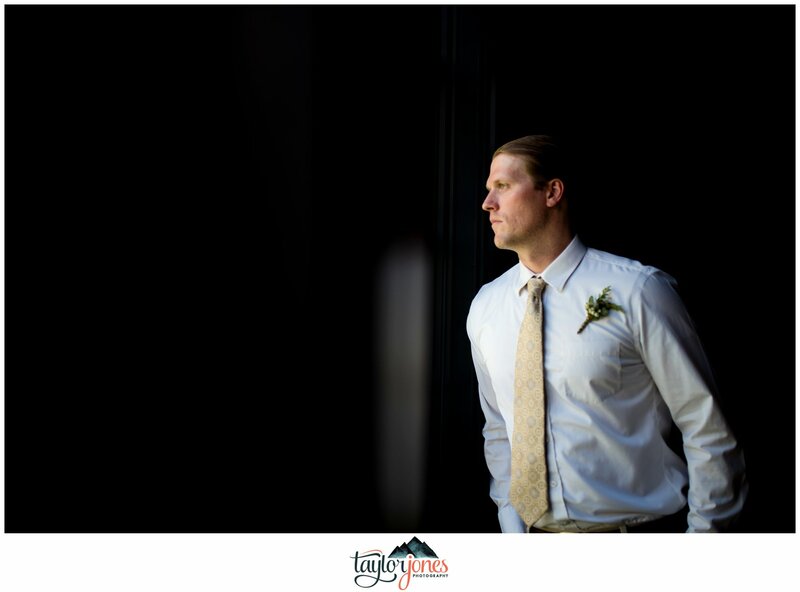 • The Adventure: In all seriousness, the adventure in this town, and right out the front door of the Surf Hotel, is ENDLESS! 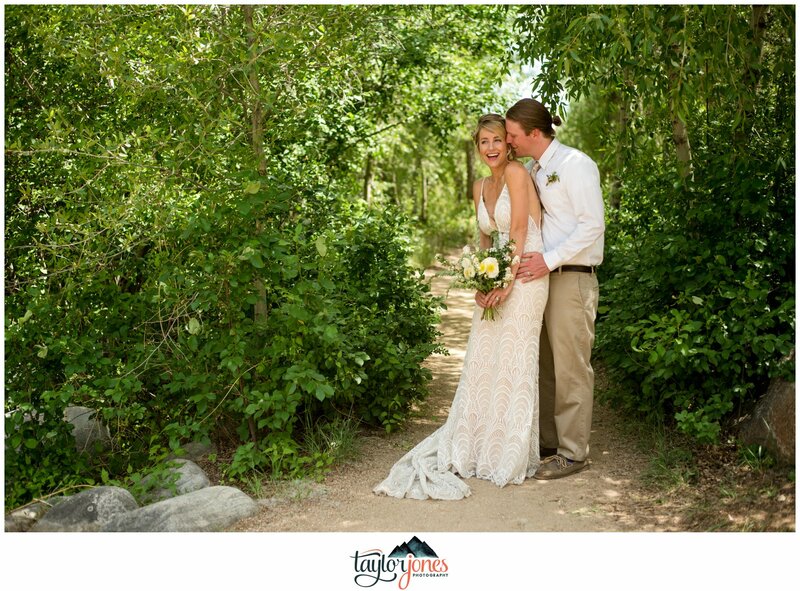 From hiking to biking, fishing to rafting, SUPing to shopping, skiing to soaking, cafe hopping to concert going, rock climbing to ATVing…it’s endless. Our valley is known for attracting adventurous hearts, so you’ll be right at home and ready for an adventure the moment you get here! Check out the above paragraph for the TOP 5 REASONS we love the Surf Hotel. 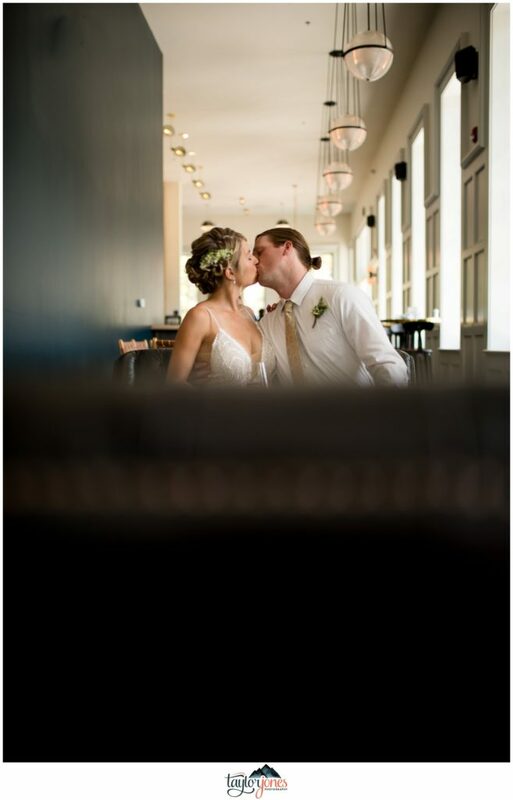 The hotel portion of this venue was completed in May 2018. Their grand opening is scheduled for June 29-July 1 in the Ivy Ballroom with Colorado’s own Leftover Salmon kicking off the opening with a concert! 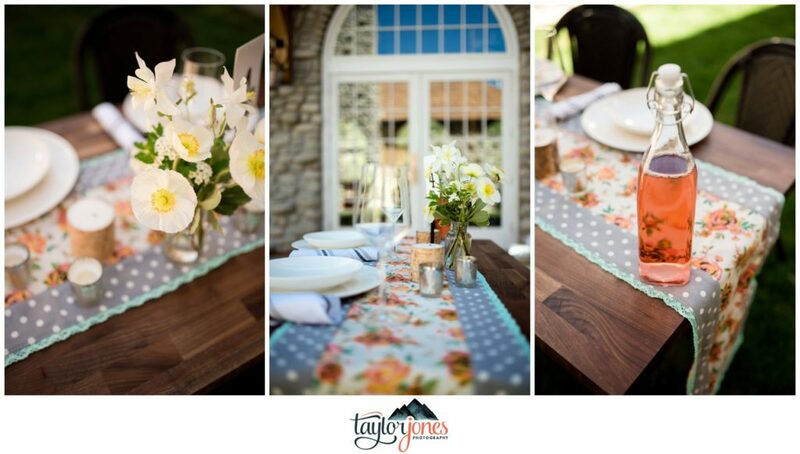 Owner Aly Camerlo is an amazing wedding planner based in Howard. 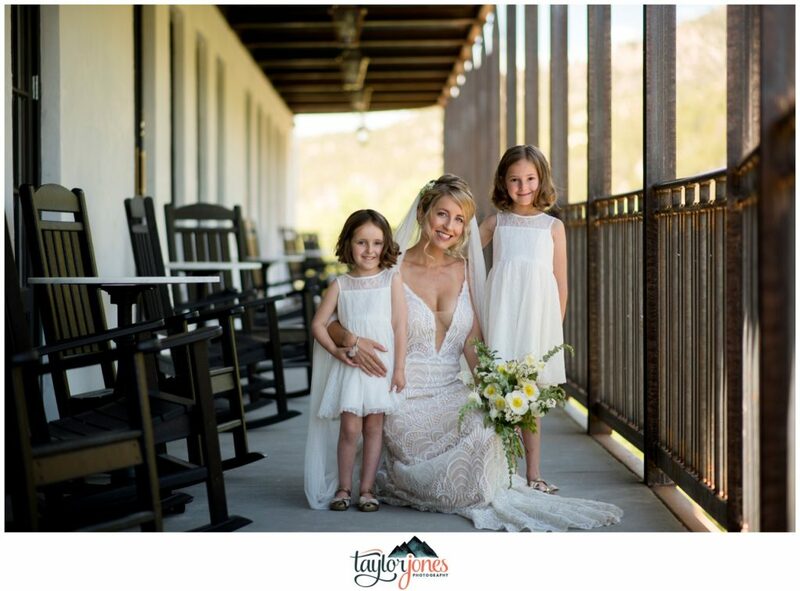 She’s a mother of two beautiful girls and a lover of all things wedding! 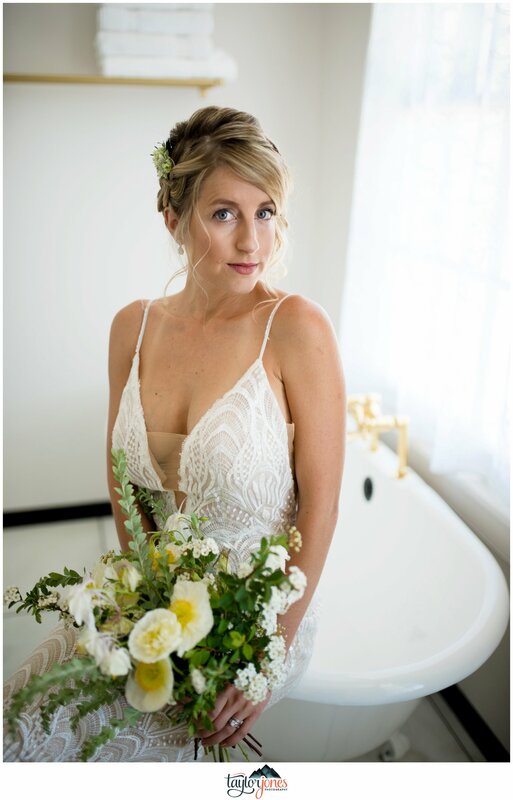 When we started brainstorming about this styled shoot, Aly suggested that weddings are heading in a more simple direction. 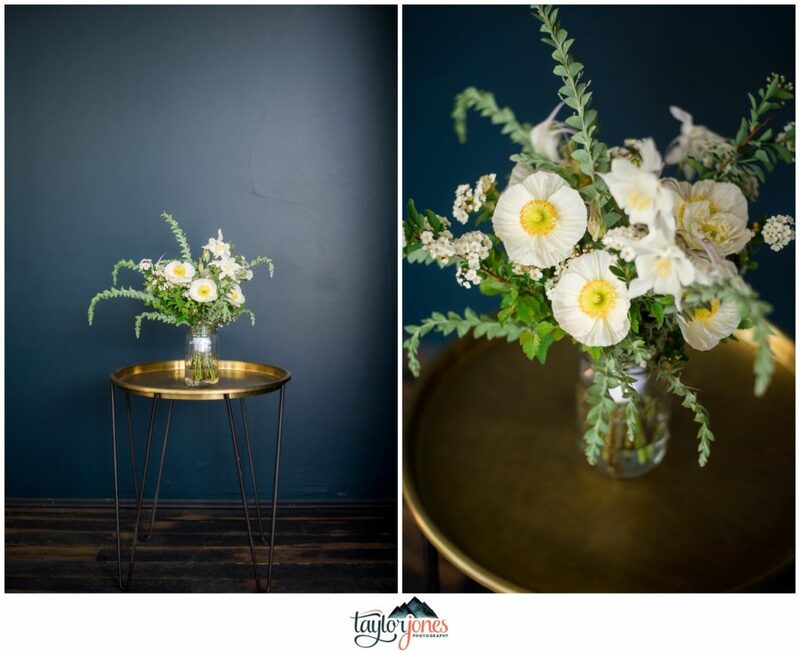 Since we wanted to showcase the venue, we decided to keep decor simple and clean to reflect the 2018/2019 trends. 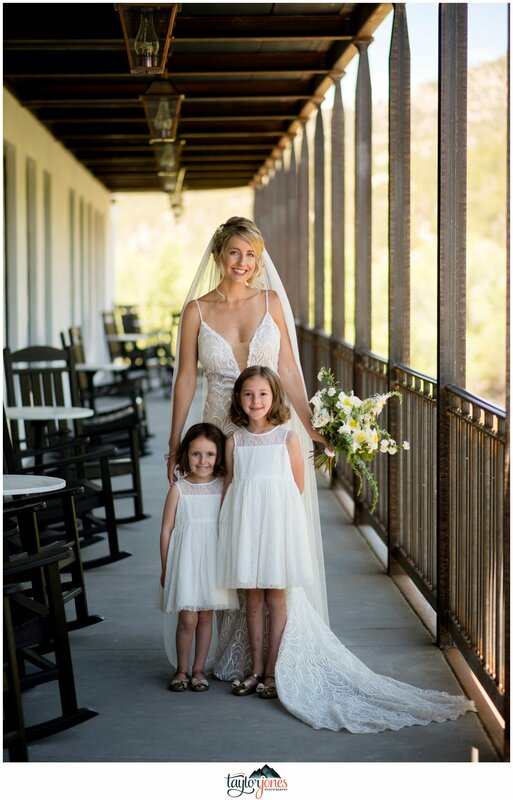 Her vision executed beautifully, and her sweet girls modeled as flower girls for us! 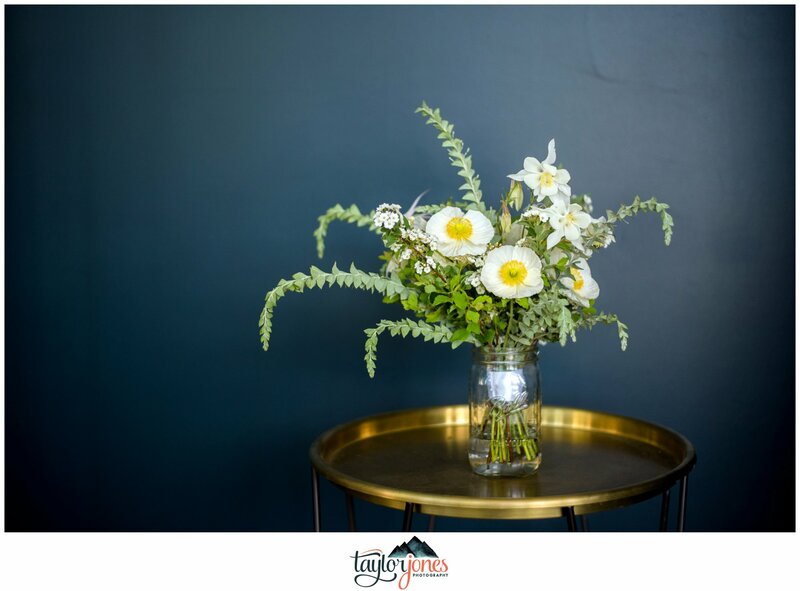 Owners Jane and Paul Hudon are located just a few minutes outside of Buena Vista and are incredible at what they do…flowers! 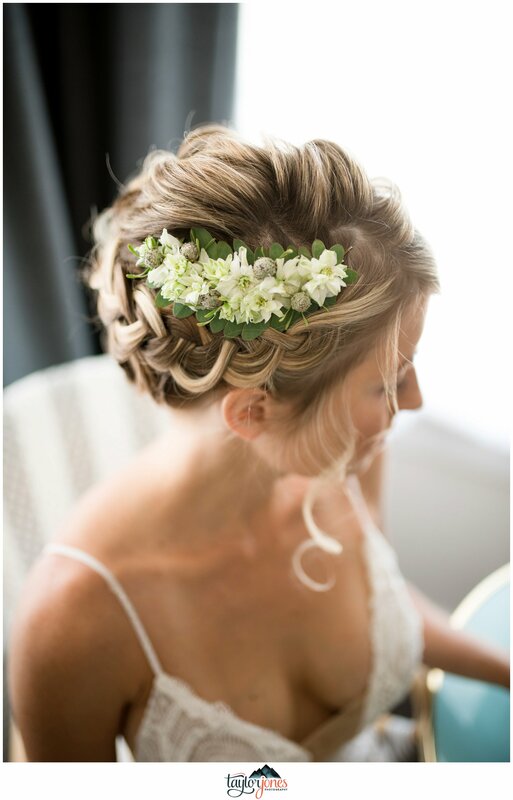 They live and breathe flowers. 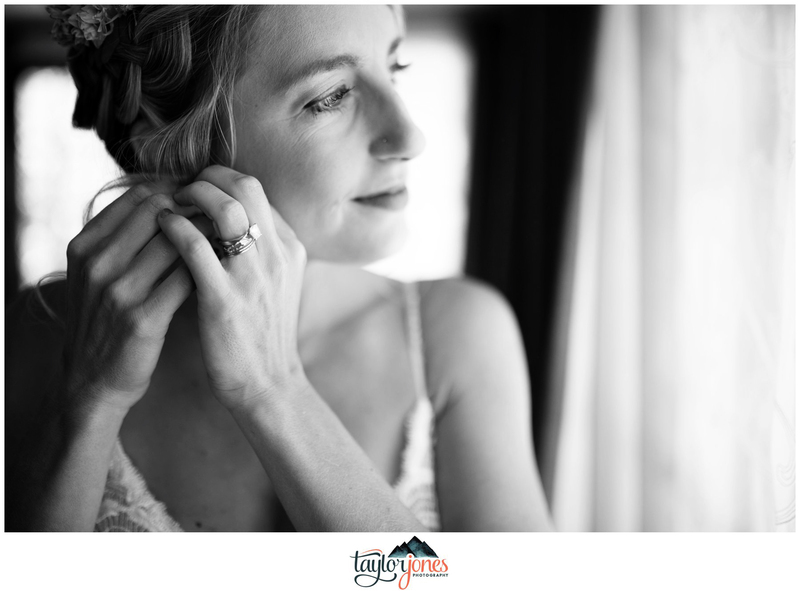 Jane is a friend of ours and when I reached out to her about this styled shoot, I told her to take her creative vision and run with it. 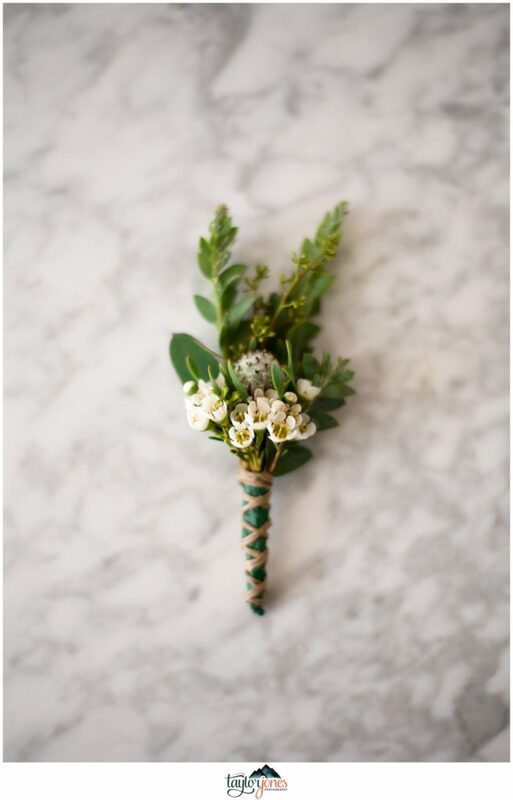 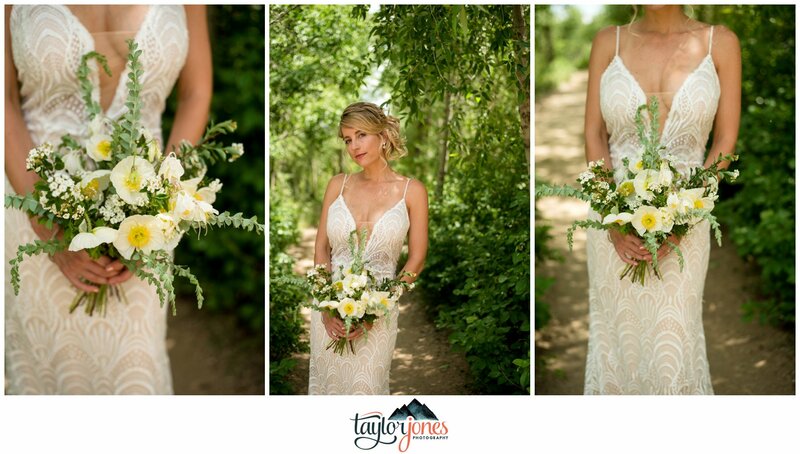 She hit the nail on the head with a clean yet totally Colorado bouquet, hairpiece, centerpieces, and boutonnière. 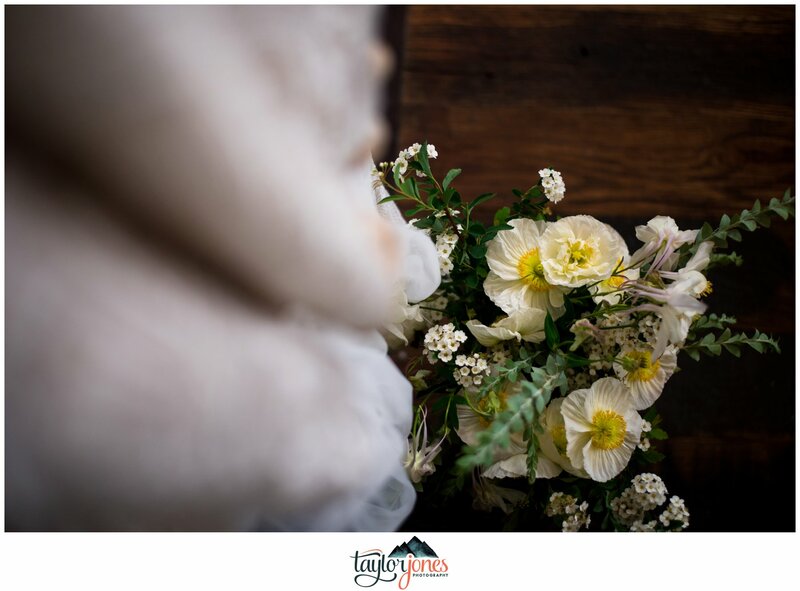 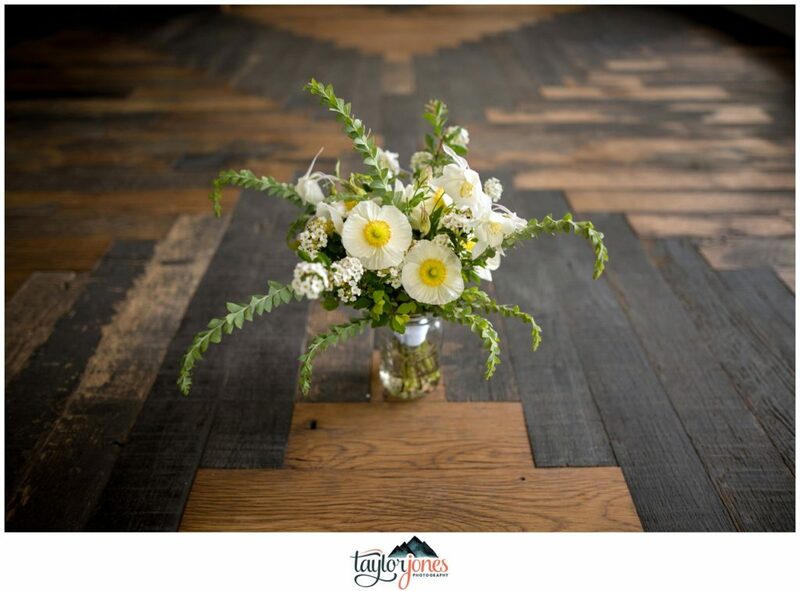 The Colorado Columbine flowers mixed with stunning white poppies looked perfect at this venue. Owner Heather has a serious passion for hair! 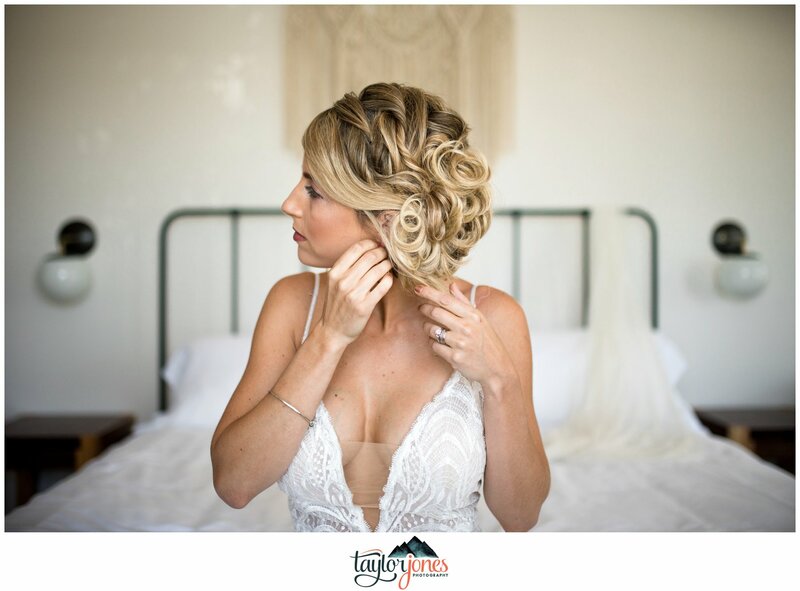 She opened her salon in 2017 just a few steps away from the Surf Hotel and has been insanely successful! 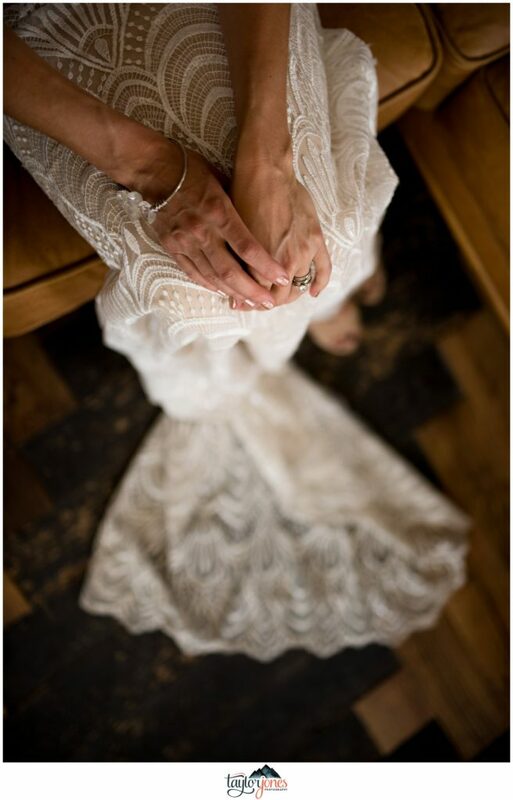 Her passion and love for what she does is weaved through her heart and soul. 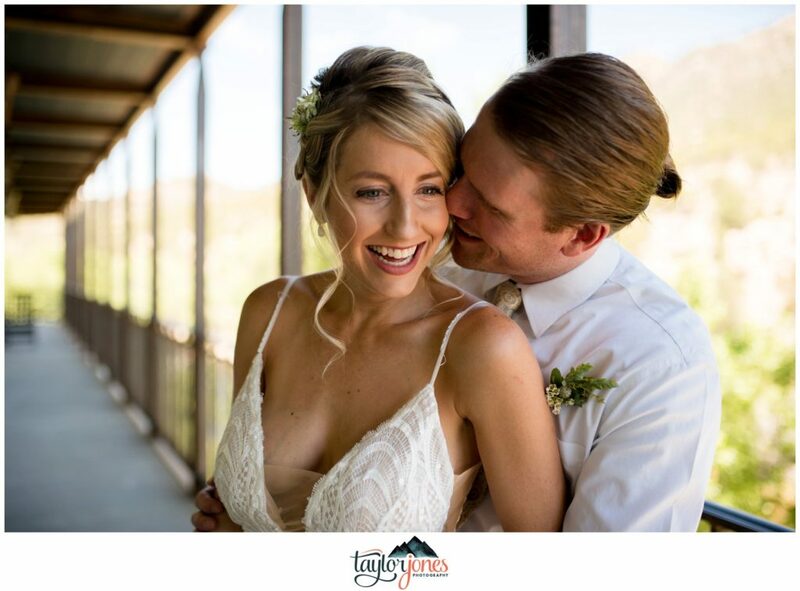 Again, I told Heather to use her creative vision for this shoot, but wanted an updo since the wind in the valley is totally unpredictable and we wanted to be prepared for some wind. 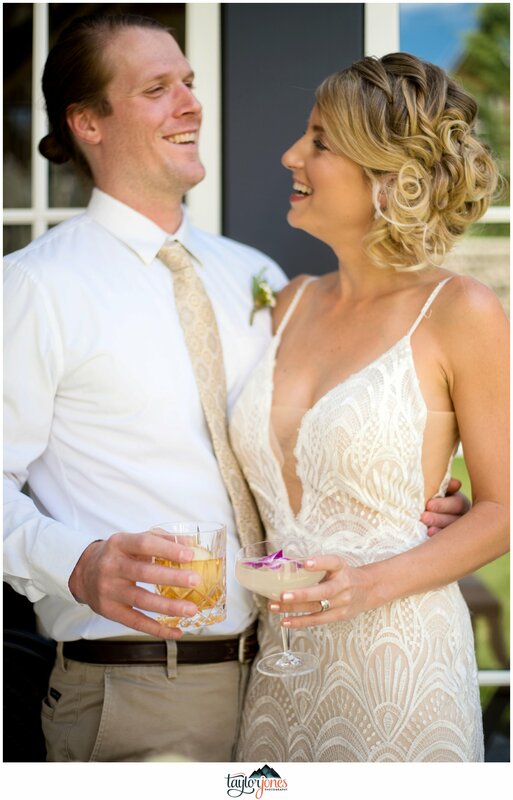 Half way through doing our model Julie’s hair, I couldn’t stop staring. 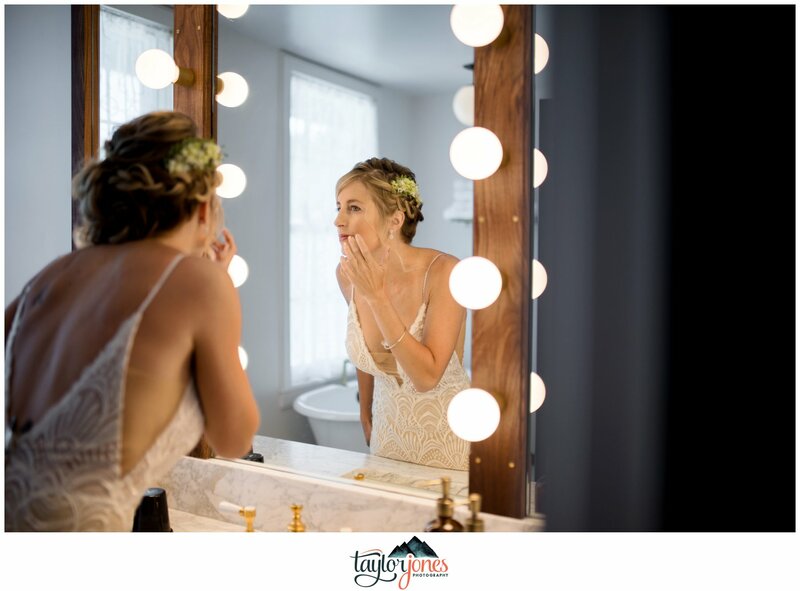 I could tell she was creating something dreamy and stunning! 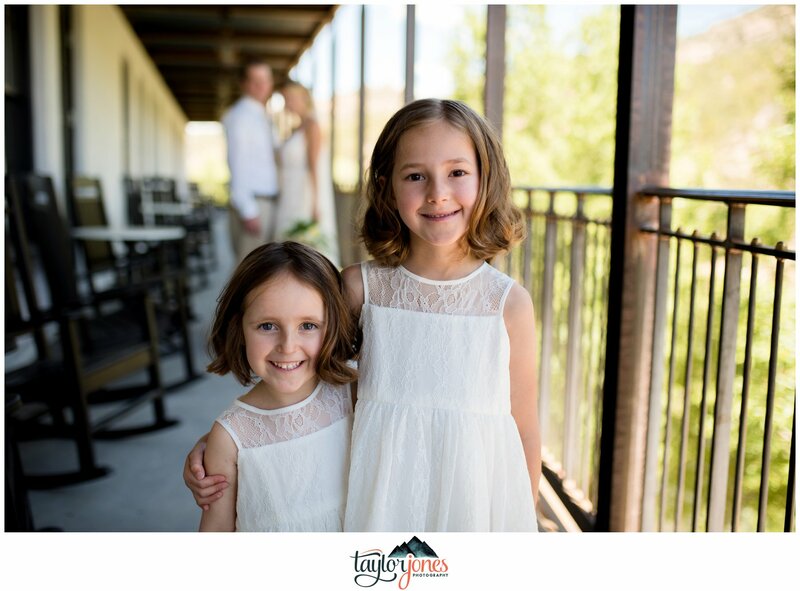 All three girls were squealing when we saw the finished product! 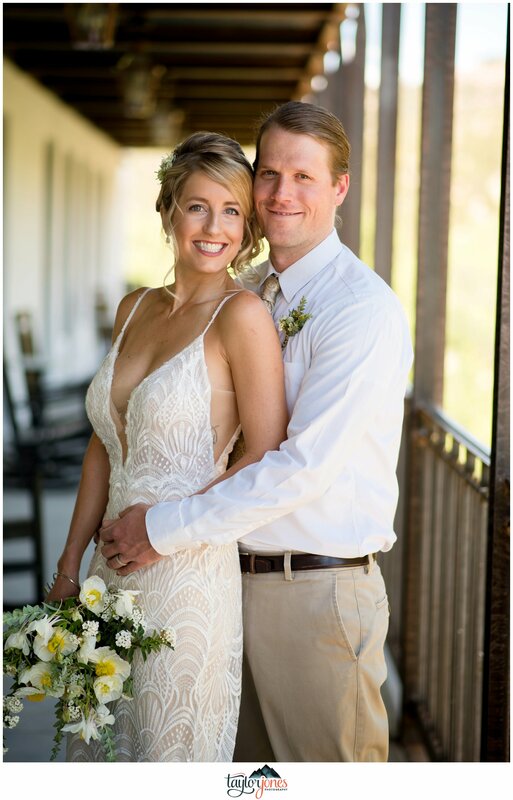 And she nailed the “natural look” for makeup! Okay, so seriously…can we get y’all to open a bridal shop in Buena Vista?! 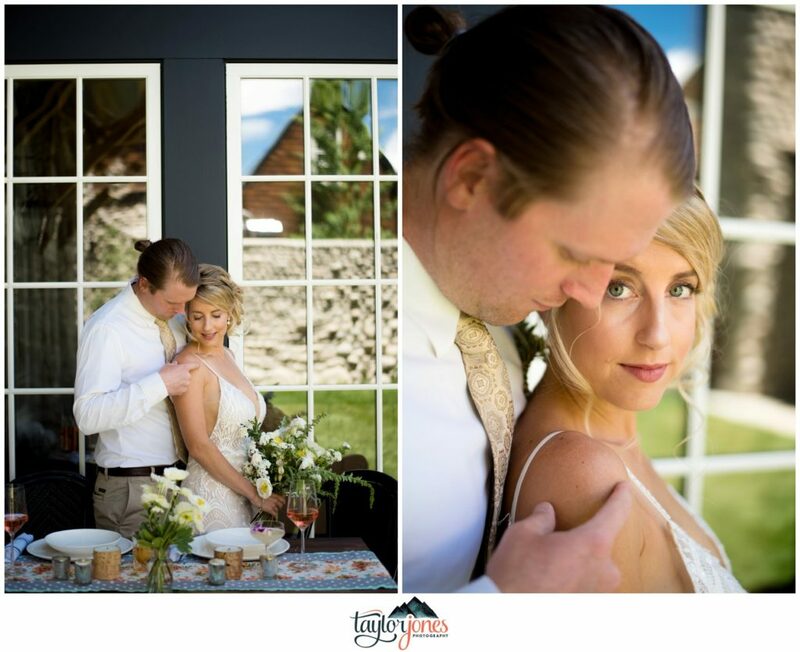 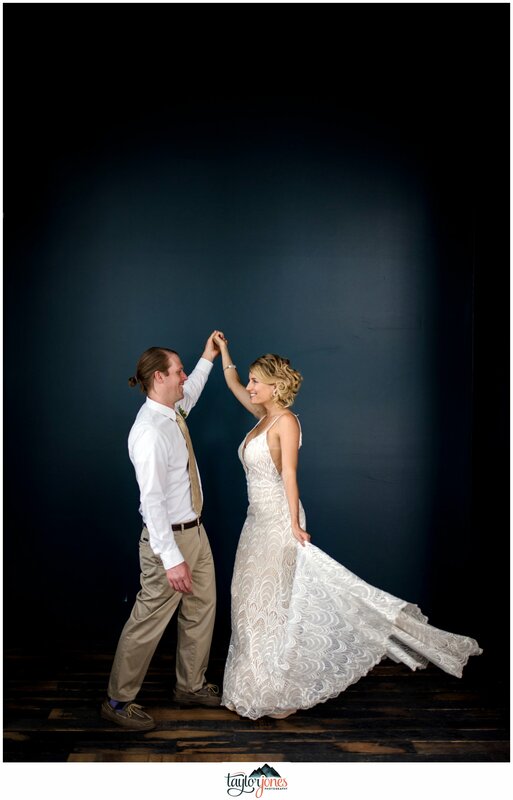 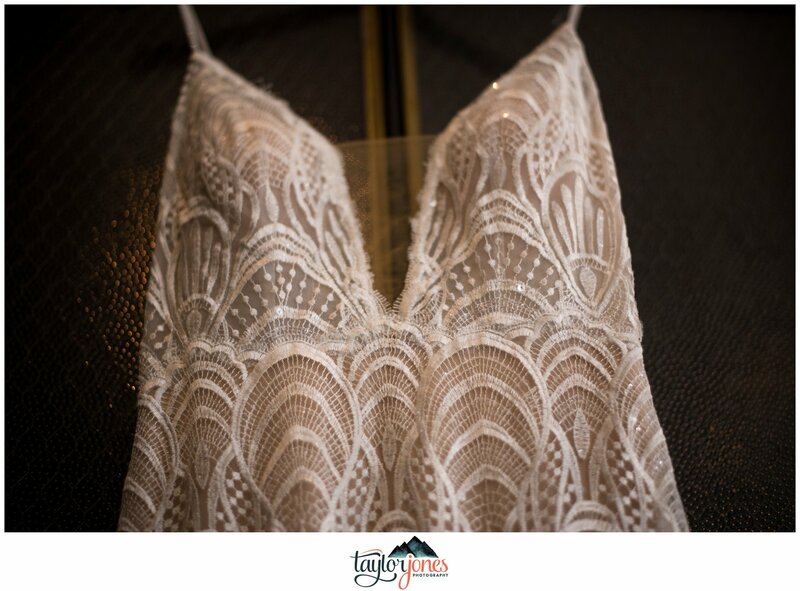 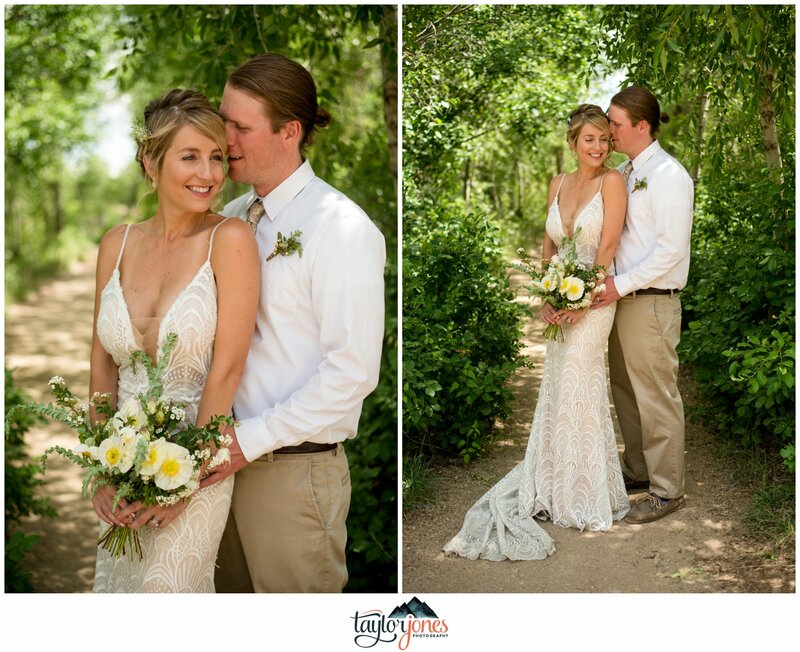 We worked with Jordan at the Bridal Collection in Centennial, Colorado and she was fantastic! 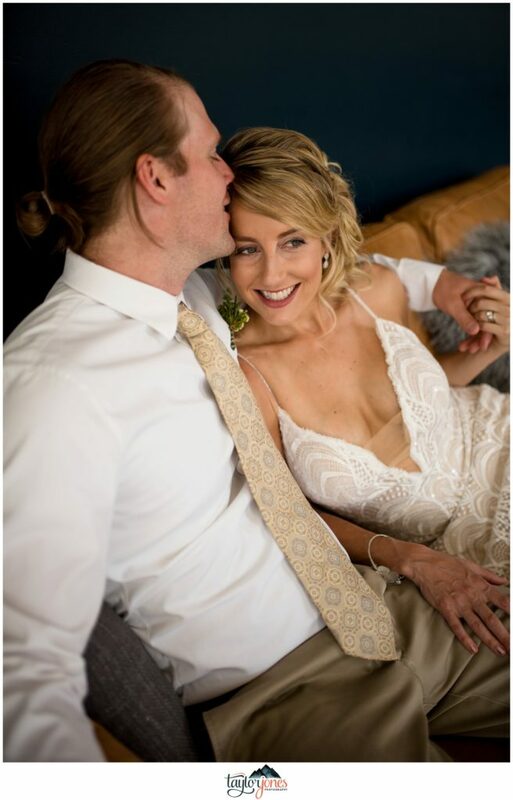 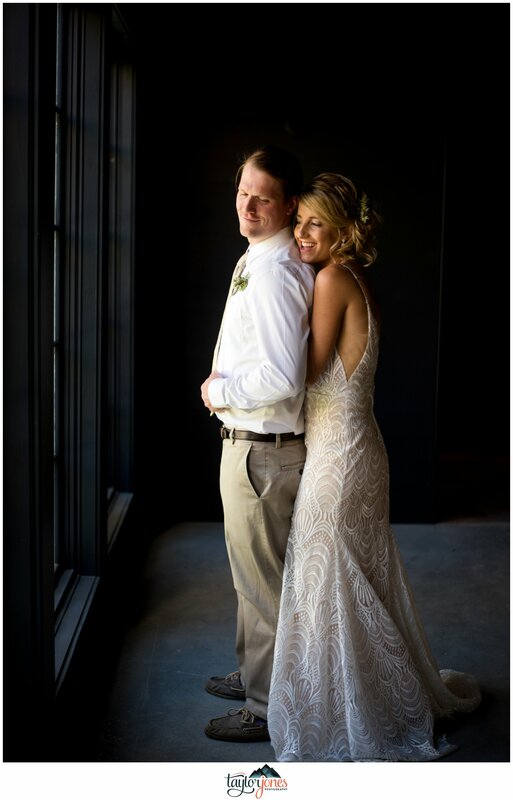 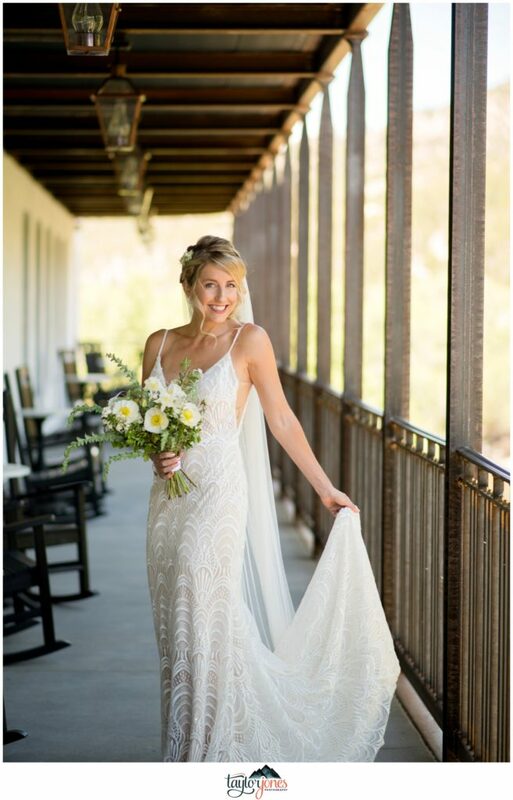 Scheduling a fitting for our model was a breeze and they used their artistic vision to match our simplistic and chic style at the Surf Hotel. 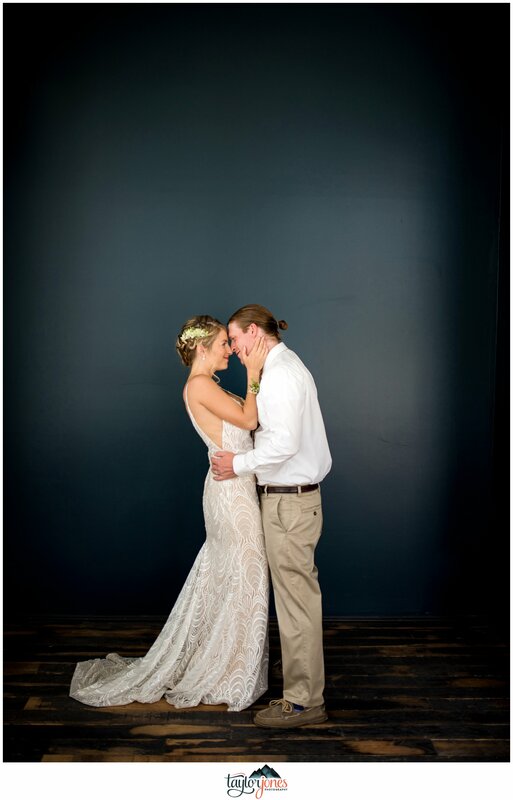 From beginning to end, these guys were the bees knees and we’re so excited to send our brides to them. 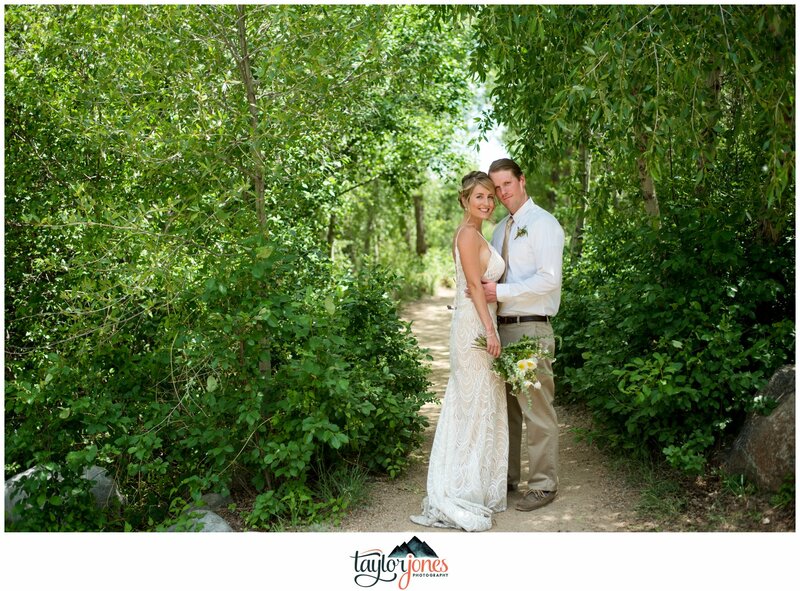 Now, we just need to get y’all to Chaffee County!